Get Instant Control To Update Your Website With Content Management System. Ideal CMS Platform For Your Business Need. 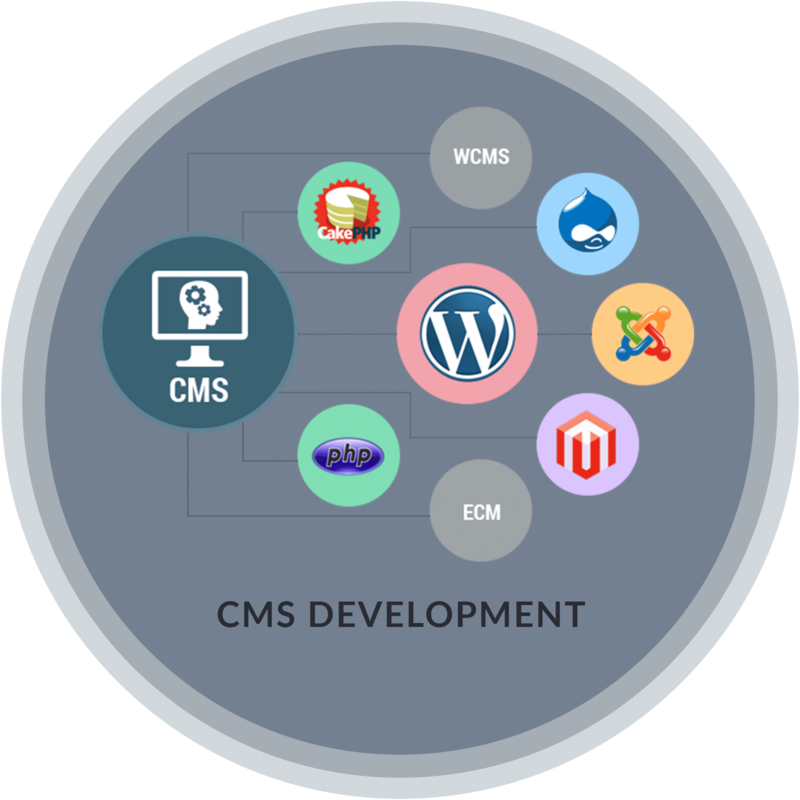 CMS stands for Content Management System. Nowadays Content Management Systems (CMS) are often used to build websites.It is mainly used for the websites where contents need to change very often. In order to keep the content of company’s websites updated and avoid the site stagnates, CMS development is used. The clients get to see the updated information and Google may well promote you in its listings. The administration section in CMS enables anybody to edit, add or remove text contents and images from the website. Website contents can be updated as and when needed.Among CMS, the open source is very popular, eg Word press, Joomla, Drupal etc. CMS has become a lingo in web development because of it’s in numerous benefits. It allows to manage website even without technical knowledge, experience with HTML or web site design. CMS reduces the time required to publish. It provides the capability for multiple users with different permission levels to manage a website or a section of the content, data or information of a website project, or internet application. For example, you can take a website which has Articles, Blogs, Press Releases, Store, and Events and assigns each section or a part of a section to user(s) to create, edit and archive. When a new content is added its visual appearance confirms to the design. When new content is added its visual appearance confirms to the design. Updates to the sites can be made at any time by anyone with the correct permissions. Requirements for image sizes can be gracefully enforced. The user can create, edit, archive, publish, collaborate on, report, and distribute website content, data and information. Add And Edit Inventory Products, Description, Product Specification, Prices, and Photos etc. Enter, Edit Or View orders And Print Packing Slips Invoices. Create And Edit System Users Which Have Different Permission Levels To A Different Section. Our talented experts go through all the stages of the lifecycle of software development process right from design the software to prototyping to development, implementation, and maintenance.